You know my goal in life is to bring you the best of glamour and fierceness from the Motherland, right? So imagine my excitement when I was contacted by the group behind Imperial Leather, PZ Cussons. Now I know you’re familiar with the iconic Imperial Leather soap bars- remember the creamy beige classic bar with the little sticker in the middle? And then in recent years, they blessed us with a range of shower gels? 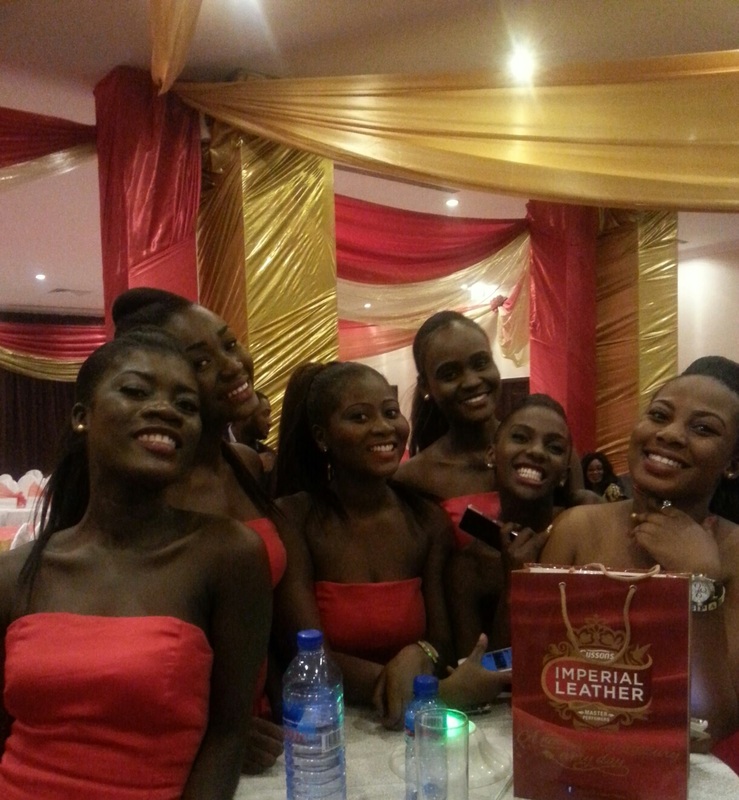 Well, word on the street was that Imperial Leather was launching a new range of body care products in Ghana! I dived into the shower immediately to try out my goodies! Let me get straight to it, guys. If you don’t own the Japanese Spa body wash, then I really don’t even know what your life is about. This is my absolute favourite! I always loved the original Imperial Leather Japanese Spa body wash, but the new and improved version is LIT! Imagine a moisturising blend of green tea, rice milk and jasmine. The lather is rich and creamy, and the fragrance is, well, everything. Imperial Leather is formulated by “Master Perfumers” and I am here to tell you that they didn’t come to play. Tap your neighbour and say YAAAASSS FRAGRANCE! The scent was gorgeous and feminine, and I felt like a fancy Far Eastern princess when I stepped out of the shower. This is a winner. It was pretty moisturising as well, and my skin felt soft afterwards. Coming up in second place was the Softly Softly body wash. Girl they got me with that packaging. I love anything pink and girly. This body wash contains rose tea and hydrolised milk. I really liked the scent- it was floral without being overpowering. I didn’t feel like this one was as moisturising as Japanese Spa, but it’s still a favourite. And while we’re talking about moisturisation, let’s get into the “Classic” Body Lotion real quick. The first thing I noticed about it was the scent; clean, fresh and almost identical to the fragrance of the original Classic Bath Bar. The lotion was rich and luscious, but I noticed that it took a while to absorb. It left my skin dewy and soft though, and I felt like I was glowing all day long. Winner. Next up: the anti-perspirant deodorants. I tried all the fragrances and I can safely say they left me feeling fresh and smelling lovely all day. I just have one complaint. These take forever and a day to dry! Now, when we met with the PZ Cussons team, Brands Development and Activations Manager Ewuraba Adusei explained the formula. The new deodorants contain less alcohol, which makes them gentler on the delicate skin of your armpit. The only downside? The low alcohol content means that the liquid takes longer to dry. Darlings, here’s something you may not know about me. I am ALWAYS late. It’s not my fault. I am a Ghanaian. So while I appreciate the gentle formula, I really need a deodorant that dries super fast so I can get dressed and run out in my usual panicked fashion. I had a fabulous time trying out the new Imperial Leather products. We had a week or so of lavish bathing and tweeting about #LittleLuxuryMoments… and before we knew it, launch night was upon us! The girls and I slipped on our finery and got glammed up by the amazing Glow With Maj. This young lady is now one of my favourite makeup artists- she was warm, fun, and had me looking like Beyonce’s hot (chocolate) cousin. Holla at Maj and tell her I sent you! Once we had all reached maximum slay, it was time to hit that red carpet. The stunning blogger and model, Laurie Frempong. LOOK AT GOD. The launch event was delightful. We had Jessica from CitiFM as our MC, and there were talks from keynote speakers. We were given goody bags containing more body care products (huzzah!) and these adorable scented fans. I’m now obsessed with my pink feather fan and I use it to slay at church. Can’t tell me nothing. There was also an interesting (coughs discreetly) episode with a standup comedian, and some catwalk action. The models were featuring the different products in the body care range, but it was a bit confusing because they weren’t holding any of the products. I thought it would have been cute if the models had strutted down the catwalk in costumes inspired by each scent. Like maybe the Classic body lotion could have inspired a classic red gown, or the Japanese Spa body wash could be carried down the runway by a geisha. You feel me? Anyhoo, all the ladies in the audience perked up real sharp when this young man appeared. I wish I had taken a better photo, but my hands were shaking due to his ludicrous hotness. THE WAY THIS MAN’S BODY WAS SET UP… Lord! He smoothed his hand down his arm to demonstrate the smoothness of the body lotion, and I got instant hypertension. … But I digress! Finally it was the moment everyone had been waiting for- the unveiling. In a shower of sparks, there it was: the new range! It included the new-look bath bars, body washes, deodorants, body sprays and lotions. The new logo was also unveiled, and I loved it. Gimme luxury, gimme gold, gimme sumptuousness. I have to say, as a huge advocate for self care and self love, I really appreciate what PZ Cussons is doing with the Imperial Leather brand. #LittleLuxuryMoments is all about encouraging people to find a touch of luxury every day. It’s about finding beauty in the little things, in the quiet moments. Sometimes after a rough day, you need to shut the door on the world… and escape into a sanctuary of rich lather and beautiful scents. I’ve always been a fan of Imperial Leather. Thanks to the new range, it looks like I always will be. Congratulations to the team at PZ Cussons, and a huge thank you from me and the girls! We had a great time working with you, and it was an honour to be part of your journey. Here’s to luxury. I want to be hosed down and just live permanently in the delicious suds from these shower gels. YES OPULENCE! Omg!! Imperial Leather!! Wow. Nostalgic. I used to stick the paper to my bathroom wall when I was younger, to the annoyance of my mum. I loved the classic bars to no end and it was all we used in my house then. It would be nice to try these… And I’m gonna add, y’all looked fa-bu-lous!!! Previous Previous post: “An African City” Season 2 Launches in Accra!